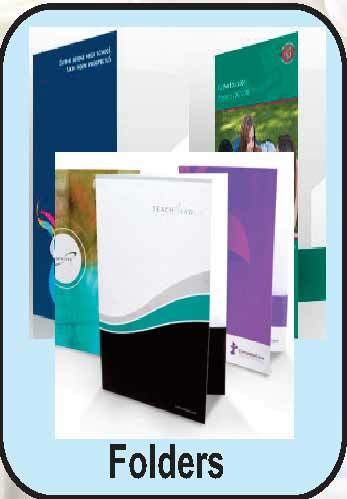 these prices are based on pdf ready artwork set up to our template. 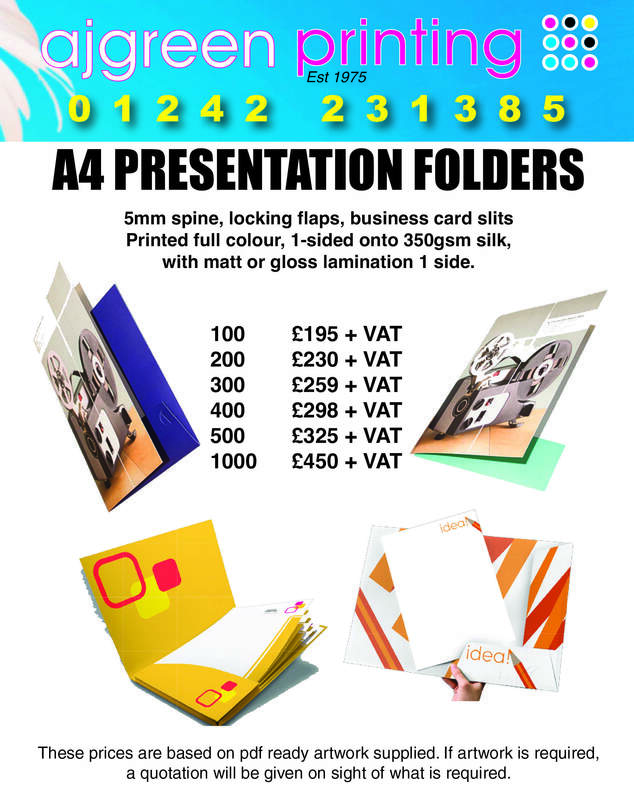 Our A5 and A4 Presentation Folders are printed on the finest 350gsm Silk Art Board, with a 5mm gutter capacity and die cut business card slots. 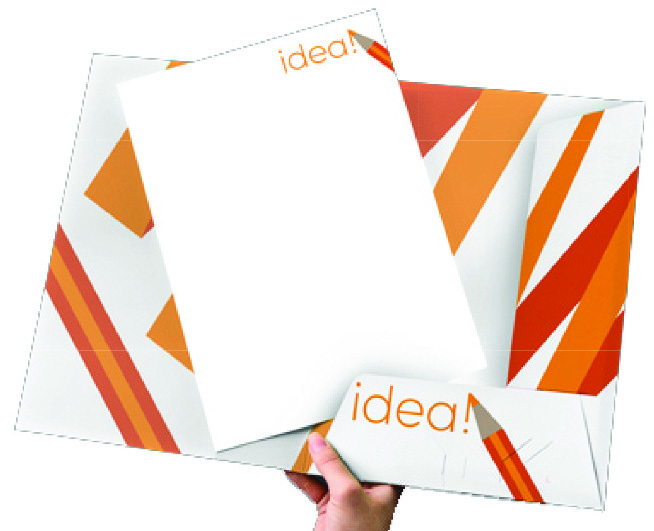 You can choose between single or double sided printing, as well as single or double sided lamination. 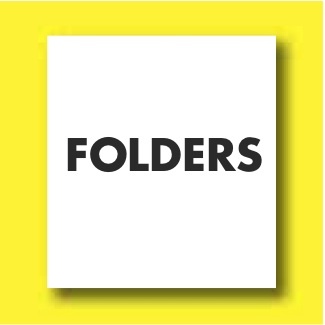 We advise laminating folders which have solid ink coverage across creases in order to prevent cracking, and protect against wear and tear.